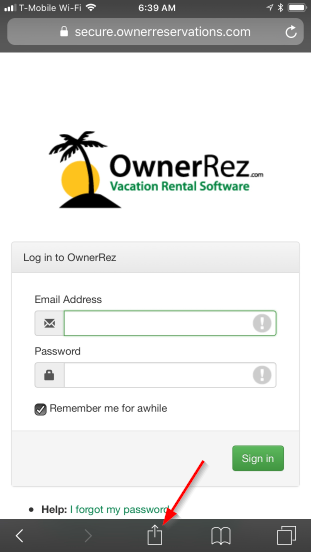 OwnerRez fully supports mobile (phones and tablets). It's a Progressive Web App where the site will work the same regardless of screen size and can be installed as an app on mobile devices. It's responsive to the device and you can do everything you can do on the desktop or laptop browser on a phone or tablet. Just pull up the https://secure.ownerreservations.com location on your browser on the mobile device and you're good to go! Note that you can only add to home screen on iOS from Safari -- other browsers like Chrome on iOS don't have that option even though they do on Android. 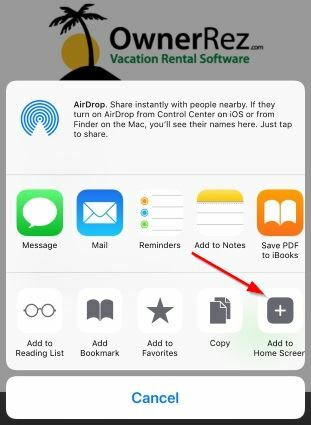 Tap the "Share" button at the bottom of Safari. 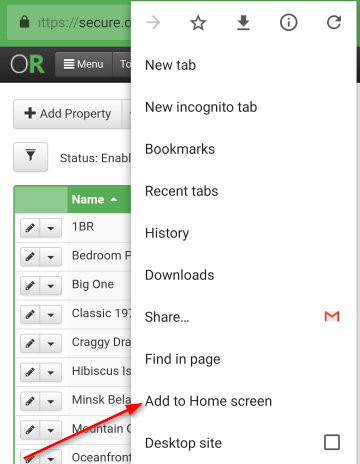 If you don't see it, scroll to the top of the page -- that bar auto-hides as you scroll down.